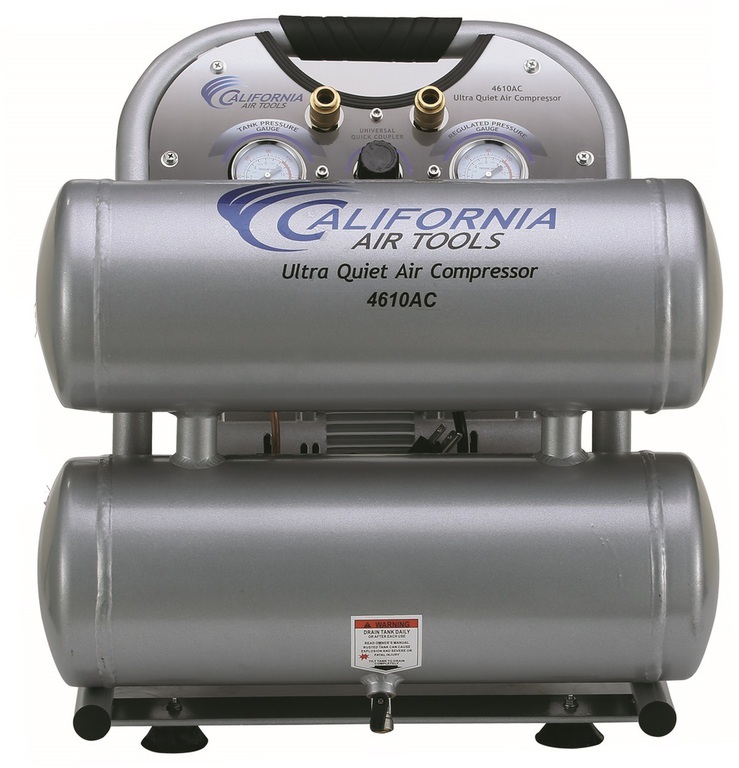 The California Air Tools 4610AC Compressor refers to a kind of compact compressors used for craft hobby projects. 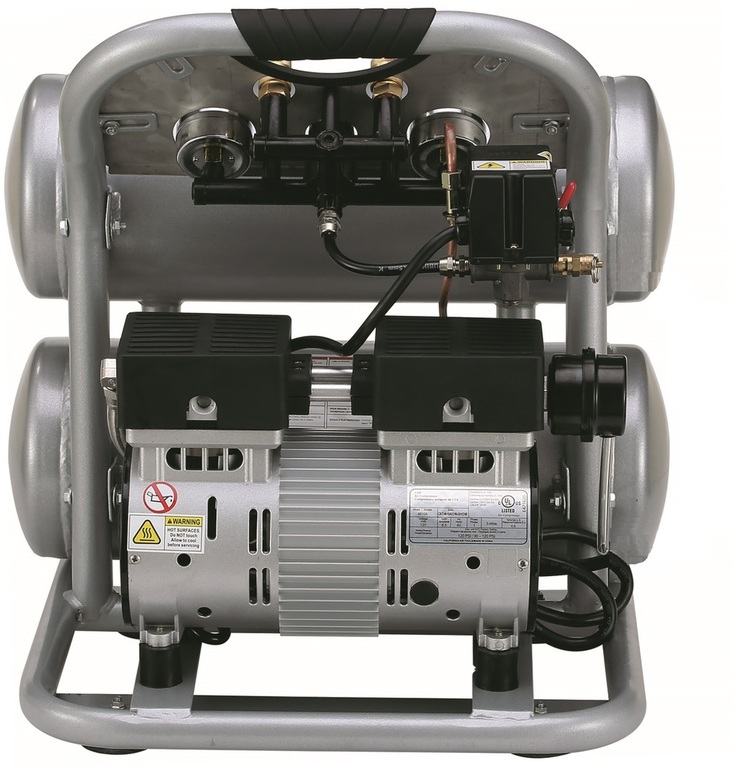 And as any product from California Air Tools Inc., its design is based on the optimal functionality along with the brilliant performance that enables the compressor to provide continuous and smooth airflow. For this purpose, all the company's products are developed in view of a neat balance between the implementation of brand new technologies and customer needs. As a follow-up to the above-mentioned benefits of California Air Tools compressors, we cannot help directing your attention to the Ultra-Quiet series by California Air Tools which, by the way, includes the California Air Tools 4610AC Compressor. This product line has been specially designed for applications where a noise level can be crucial. Alongside this, Ultra-Quiet air compressors are to provide an efficient, reliable, and long-term operation. Since all air compressors from the Ultra-Quiet series are oil-free, you no longer need to change, dispose, or add oil to your compressor. Another score for oilless air compressors is in their capacity to work on uneven surfaces and in cold environments. Besides that, using such devices won't bring damage to sensitive items through oil getting into the air. Apart from that, Ultra-Quiet compressors engage 4-pole motors operating at only 1680 RPM. So in this way, the motor creates less vibration and, therefore, produces less noise. For that same reason, the motor will serve longer. Also, to reduce the motor wear, the manufacturer has equipped Ultra-Quiet units with the thermal overload protector that doesn't let the air pressure rise above a preset limit. Beyond that, compressor motors are brushless which means an increased durability and longer life of compressors. What is more, Ultra-Quiet compressors feature cast aluminum cylinders and Teflon cylinder rings. The former add strength and efficiency. While the latter allow for less friction and, hence, less wear. Above that, these air compressors have stainless steel reed valves that are quite durable and, more to the point, rust-resistant. Considering other benefits and useful features of Ultra-Quiet compressors, it is worth mentioning their extra large dual pistons. With them, the air displacement is faster what shortens recovery times and allows an air tank to fill up faster. In addition to this, the manufacturer provided compressors with a dual valve plate design to enlarge CFM output. In order to make the motor start easier, it has been decided to reduce amp draw. And as such, compressors require less electricity. Among other things, what makes the California Air Tools 4610AC Compressor unique is its lightweight and perfect portability. With 50 pounds of weight and a comfortable carrying handle, it is simple to take it along with you if there is a need to use the compressor in multiple locations. But, by the same token, it delivers enough air pressure for every 8-10 minutes and shuts off only for about a minute. And all this is while the noise from the running compressor doesn't exceed 60 Decibels. On top of all of this, the California Air Tools 4610AC Compressor comes with a standard 1-year warranty from the manufacturer. The warranty coverage period starts from the date of retail purchase. More specifically, the guarantee relates only to free repair and replacement of parts in case the manufacturer recognizes them as defective.